In consistent high demand on the concert stage, she has appeared with the Boston Symphony Orchestra, Los Angeles Philharmonic, Philadelphia Orchestra, Cleveland Orchestra, St. Louis Symphony Orchestra, Pacific Symphony, Nashville Symphony, Cincinnati Symphony Orchestra, St. Paul Chamber Orchestra, Los Angeles Master Chorale, Detroit Symphony, Colorado Symphony, Charlotte Symphony, Memphis Symphony Orchestra, Buffalo Philharmonic, National Symphony of Costa Rica, Singapore Symphony, Delaware Symphony Orchestra, Jacksonville Symphony, Virginia Symphony, Eugene Symphony, Rhode Island Philharmonic, Dayton Philharmonic, Boulder Philharmonic, San Antonio Symphony, Santa Fe Symphony, Colorado Music Festival, IRIS Chamber Orchestra, VocalEssence, Berkshire Choral Festival, and at Carnegie Hall and the Hollywood Bowl. She has frequently worked with conductors Jeffrey Thomas, Nicholas McGegan, Martin Pearlman, Martin Haselböck, Robert Moody, Carl St. Clair, JoAnn Falletta, Giancarlo Guerrero, John Sinclair, Anton Armstrong, and Leonard Slatkin. With the IRIS Chamber Orchestra, she sang the World Premiere of the song cycle “Songs Old and New” written especially for her by Ned Rorem. She was named an Emerging Artist by Symphony Magazine in the publication’s first ever presentation of promising classical soloists on the rise. An exciting interpreter of Baroque repertoire, “with a crystal clear and agile soprano voice perfectly suited to Handel's music” (Early Music America), she has repeatedly appeared with American Bach Soloists, Philharmonia Baroque, Musica Angelica, Boston Baroque, Portland Baroque Orchestra, Grand Rapids Bach Festival, Bach Society of St. Louis, Chatham Baroque, Musica Sacra Festival de Quito Ecuador, Baltimore Handel Choir, Florida Bach Festival Society of Winter Park, Colorado Bach Festival, the Brooklyn Academy of Music, the Casals Festival in Puerto Rico, and the Carmel Bach Festival. 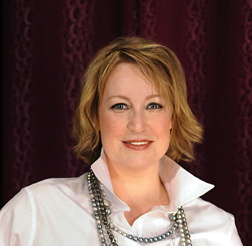 An accomplished pianist, Ms. Wilson holds vocal performance degrees from St. Olaf College in Northfield, Minnesota, and Washington University in St. Louis, Missouri. She is an Assistant Professor of Voice at the University of Memphis, and resides in Bartlett, Tennessee, with her husband, son, and two dogs.